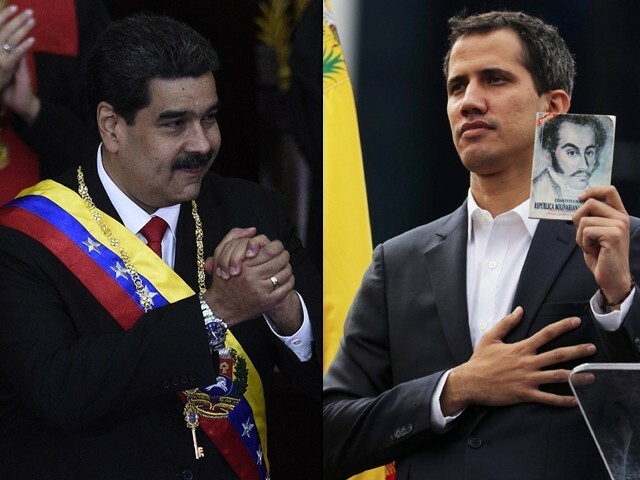 Washington prefers Juan Guaido to Nicolas Maduro, and it is naïve to believe that the US has any human rights concerns when it comes to the people of Venezuela. Three days ago, the first United Nations (UN) rapporteur to visit Venezuela in 21 years told British media outlet The Independent that US sanctions on Venezuela are illegal and bordering on “crimes against humanity” under international law. No one in the international media will say it, but sanctions are always the precursor to war. Never mind Washington’s barbaric sanctions on pre-2003 Iraq, which are estimated to have killed 1.7 million Iraqi civilians, including 500,000 children. Not many people acknowledge this fact, but before the Pearl Harbour attack during World War II, the US had targeted Japan’s rapidly developing economy heavily with economic sanctions, forcing Japan to respond in its own way. Comparatively, Donald Trump’s war with Venezuela has been on the horizon for some time now. The president’s decision to declare Venezuelan leader Nicolas Maduro as illegitimate and appoint a leader of his own choosing, which was quickly followed by the support of some of Venezuela’s closest Latin American neighbours and other notable players such as Israel and Canada, is just part and parcel of an overall interventionist narrative which has been brewing in the pipeline over the last few years. As a lawyer qualified in two separate jurisdictions with a keen interest in studying international law, I am struggling to find an international legal doctrine which states that foreign states can appoint a leader of their own choosing in a sovereign nation. In fact, as I understand it, this would be the exact anti-thesis of democracy, as it involves someone other than the democratic voter base to appoint a ‘democratically elected’ leader. Whether or not that country has a systemic process for dealing with these issues is another matter entirely, as a state’s domestic law should not empower the world’s superpower to do as it pleases. For those of us who have been paying attention for years, this behaviour is nothing new and comes as no surprise. The US has never supported democracy in its literal sense. What the US has been doing is supporting people who will serve American corporate interests, whether these US-friendly leaders are brutal dictators or not. Within days of his appointment as the “interim president” of Venezuela, Juan Guaido has tried seizing control of Venezuela’s US-based oil refiner and use its revenue to assist his efforts to run the country. He is also reportedly looking to restructure and privatise the nation’s state-owned oil company and seek money from the International Monetary Fund (IMF) to prop up his government. It is no wonder Washington prefers Guaido to Maduro, and it is naïve at best for anyone to truly believe that the US has any human rights concerns when it comes to the people of Venezuela. After all, the current US president wants to build a wall to prevent Venezuelans from even entering North America! This is why the argument that Maduro is a dictator abusing his own people doesn’t fly with many on the anti-war spectrum. The US continues to heavily support dictatorships in Saudi Arabia and Bahrain, for example, and continues to enable Israel’s illegal occupation of Palestinian territory. The US has quite clearly wrecked Venezuela through a draconian sanctions regime, making any criticism of Maduro almost pointless. If Maduro was starving his people without Washington playing a major hand in this strangulation, then Maduro’s policies should indeed be up for debate in front of the UN Security Council (UNSC). As far as I know, only the UNSC itself is empowered to make the kind of decisions that are leading down a dangerous road to war, yet two of the UNSC’s permanent members refused to acknowledge Washington’s appointment of Guaido. According to a YouGov poll, France’s leader Emmanuel Macron has an approval rating as low as 18%. France has been rocked with legitimate anti-neoliberal protests in recent weeks, and yet North Atlantic Treaty Organisation (NATO) countries would not sit idle had Russia or China decided to appoint a leader of their own choosing in the interim. If you believe it is okay for the US to do that in respect of Venezuela, but not for Russia or China to do it in respect of France, there is a good chance you have been severely brainwashed. Despite this, Macron still believes he has the right to throw his support behind Guiado, as if this gives the movement any further legitimacy (it doesn’t). If we are to move forward as a species, there are a few hard truths we need to come to terms with. One is that we need to stop pretending the US is concerned about the brutality of dictatorships and human rights abuses, as its track record suggests the complete opposite. Even if we acknowledge that Barack Obama was a cunning and suave maintenance-man for the US Empire, we now have a sitting president who openly and brazenly commits human rights abuses with zero disregard for human life. Secondly, we have to get rid of this notion that the US could possibly do any good in any part of the world that is going through a crisis, even ones that the US has clearly brought about by its own policies. After all, the US has interfered with and destroyed a long list of countries, including Libya, Iraq, Afghanistan, Yemen, Syria, Vietnam and Korea. If the world allows Venezuela to turn into a Latin American Libya or Afghanistan, then we really have not learned a single thing from our recent history. Thankfully, there are some positive indications that this may not be the case after all. Why are the very powerful, so foolish not to realize that their ambitions are dangerous? They are dangerous, because those ambitions make them brutal, cruel, violent. And all that, has its origin in corruption, that every rich, multimillionaire, has to practice. The problem is very serious, because they are addicted to money, to property, to vanity, to pleasure, that all this generates. Moreover, when all of them have formed a mafia. In which, because they have so much money, international companies, oligopolies, multinationals, dominate the markets, forcing the world economy to change in their favor. So, the country that does not submit to that international mafia, is marked to destroy it through the economy, false news, political, economic, banking blockades, etc.